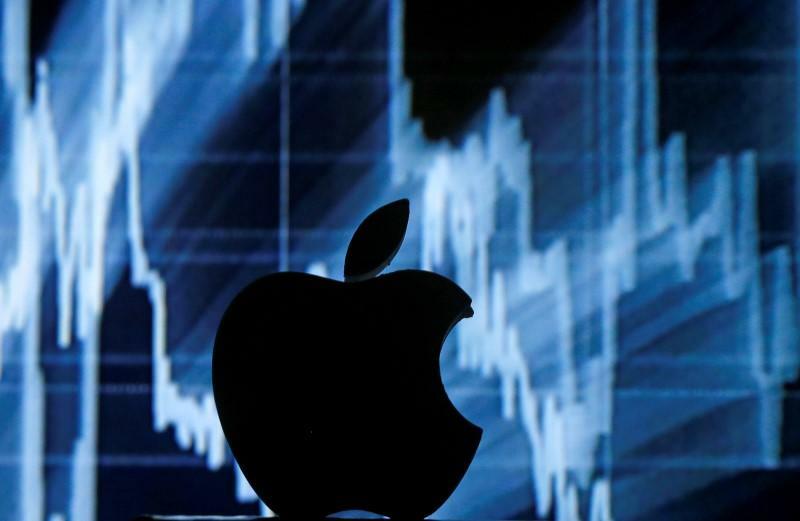 Shares of Apple, a mainstay of many Wall Street portfolios and the largest component of the Standard & Poor's 500 index, have dropped 11 percent in the past five sessions. That shrank the technology behemoth's market capitalization by $65 billion, about equivalent to Cambodia's net wealth. Confidence in the Cupertino, California company has been shaken since posting its first-ever quarterly decline in iPhone sales and first revenue drop in 13 years on Tuesday, although Apple investors pointed to the stock's relatively low valuation as a key reason to hold onto the stock. "If you're going to buy Apple, you have to buy it for the long term, because the next year or two are going to be very tough," said Michael Yoshikami, chief executive of Destination Wealth Management, which owns Apple shares. Pointing to concerns that Beijing could make it difficult for Apple to conduct business in China, long-time Apple investor Carl Icahn told CNBC on Thursday that he had sold his stake in the company he previously described as a "no brainer" and undervalued. "The tide is going out a bit, but it will probably improve in the fall with the launch of the next iPhone," said Pat Becker Jr, principal of Becker Capital Management, which also owns Apple stock. "This is an opportunity." Wall Street remains positive as 36 analysts tracked by Thomson Reuters recommend buying Apple's shares, while nine have neutral ratings and none recommend selling. The median of the analysts' price targets is $120, down from $130 at the end of March. The stock ended Friday at $93.75, down 1.14 percent.